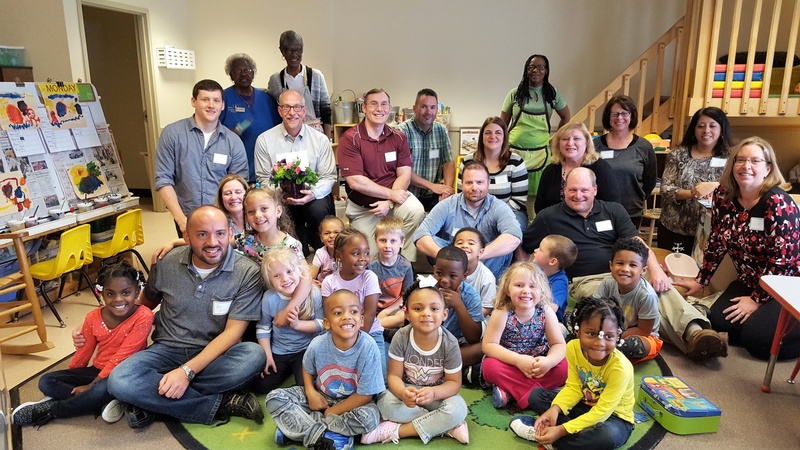 It was celebration time in Room 8 at Early Childhood Alliance (ECA), on Wednesday, May 10, as a group of 3- to 5-year-olds welcomed Pyromation to the Downtown Learning Center (516 E Wayne St). The Fort Wayne based company that produces temperature sensing devices and equipment, adopted the classroom with a $3,000 grant in support of room improvements, sliding scale tuition, and professional development. The Pyromation senior management team and team members joined in the fun at ECA during the unveiling of a dedication plaque with the preschoolers.